Retail involves the sale of goods from a single point (malls, markets, department stores etc) directly to the consumer in small quantities for his end use. Retailing is nothing but transaction of goods between the seller and the end user as a single unit (piece) or in small quantities to satisfy the needs of the individual and for his direct consumption. 1) Retail involves the process of selling consumer goods or services to customers through multiple channels of distribution to earn a profit. Demand is identified and then satisfied through a supply chain. 2) Attempts are made to increase demand through advertising. In the 2000s, an increasing amount of retailing began occurring online using electronic payment and delivery via a courier or via postal mail. 3) Retailing as a sector includes subordinated services, such as delivery. The term "retailer" is also applied where a service provider services the small orders of a large number of individuals, rather than large orders of a small number of wholesale, corporate or government clientele. 1) The retailing strategy is a marketing plan abstractly designed to offer its products and services in a way that will optimize customer satisfaction. 2) Service quality and marketing mix strategy have significant and positive association on customer loyalty. 3) The marketing strategy effectively outlines all key aspects of firms targeted audience; demographic and preference. Throughout a highly competitive market, the retail strategy sets up long-term sustainability. 4) It focuses on customer relationships, stressing the importance of added value and customer satisfaction. The retail mix is designed to complement the retail strategy through theoretical tools such as the product, its quality and value, the promotions, place, and price. ​5) The design of a retail store is critical when appealing to its intended market, as this is where first impressions are made. It can influence a consumer’s perception of the quality of the store, visually communicating value. Certain techniques are used to create a consumer brand experience, which in the long run drives brand loyalty. 1) Retail Merchandising refers to the various activities which contribute to the sale of products to the consumers for their end use. 2) Every retail store has its own line of merchandise to offer to the customers. The display of the merchandise plays an important role in attracting the customers into the store and prompting them to purchase as well. 3) Merchandising helps in the attractive display of the products at the store in order to increase their sale and generate revenues for the retail store. 4) Merchandising helps in the sensible presentation of the products available for sale to entice the customers and make them a brand loyalist. 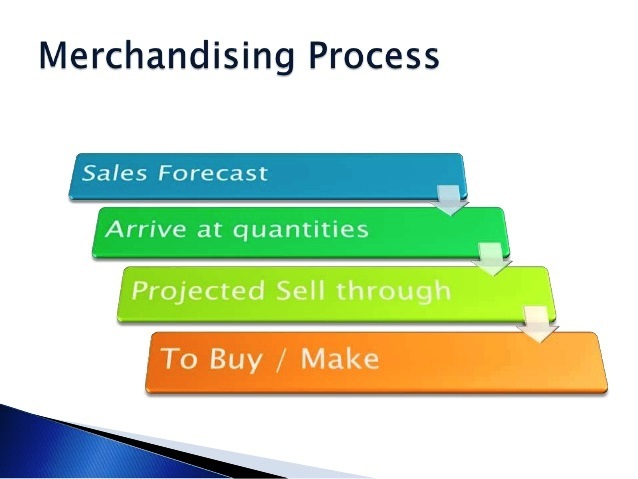 5) Merchandising is any practice which contributes to the sale of products to a retail consumer. At a retail in-store level, merchandising refers to the variety of products available for sale and the display of those products in such a way that it stimulates interest and entices customers to make a purchase. 6) In retail commerce, visual display merchandising means merchandise sales using product design, selection, packaging, pricing, and display that stimulates consumers to spend more. 7) This includes disciplines and discounting, physical presentation of products and displays, and the decisions about which products should be presented to which customers at what time. 8) Merchandising helps to understand the ordinary dating notation for the terms of payment of an invoice Codified discounting solves pricing problems including markups and markdowns. 9) It helps to find the net price of an item after single or multiple trade discounts and can calculate a single discount rate that is equivalent to a series of multiple discounts. 10) Further, it helps to calculate the amount of cash discount for which a payment qualifies. The packaging of the merchandise goes a long way in improving the brand value of the product. A product kept in a nice box would definitely catch the attention of the customers. 1) It is an approach to managing a company's interaction with current and future customers. 2) The CRM approach tries to analyse data about customers' history with a company, to improve business relationships with customers, specifically focusing on customer retention, and ultimately to drive sales growth. 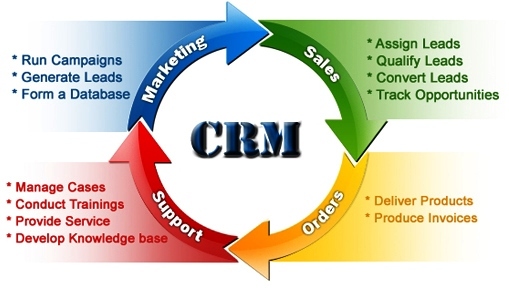 3) One important aspect of the CRM approach is the systems of CRM that compile information from a range of different communication channels, including a company's website, telephone, email, live chat, marketing materials, social media, and more. 4) Through the CRM approach and the systems used to facilitate CRM, businesses learn more about their target audiences and how to best cater to their needs. ​5) However, adopting the CRM approach may also occasionally lead to favouritism within an audience of consumers, resulting in dissatisfaction among customers and defeating the purpose of CRM. The primary goal of customer relationship management systems is to integrate and automate sales, marketing, and customer support. 1) Sales force automation works with all stages in the sales cycle, from initially entering contact information to converting a prospective client into an actual client. -> Sales force automation implements Sales promotion analysis, automates the tracking of a client's account history for repeated sales or future sales and coordinates sales, marketing, call centres, and retail outlets. -> It prevents duplicate efforts between a salesperson and a customer and also automatically tracks all contacts and follow-ups between both parties. 2) Marketing Automation focuses on easing the overall marketing process to make it more effective and efficient. For example, by scoring customer behaviour, Salesforce's Marketing Cloud allows a business to adapt marketing campaigns to how engaged customers are with a business. CRM tools with marketing automation capabilities can automate repeated tasks, for example, sending out automated marketing emails at certain times to customers, or posting marketing information on social media. The goal with marketing automation is to turn a sales lead into a full customer. 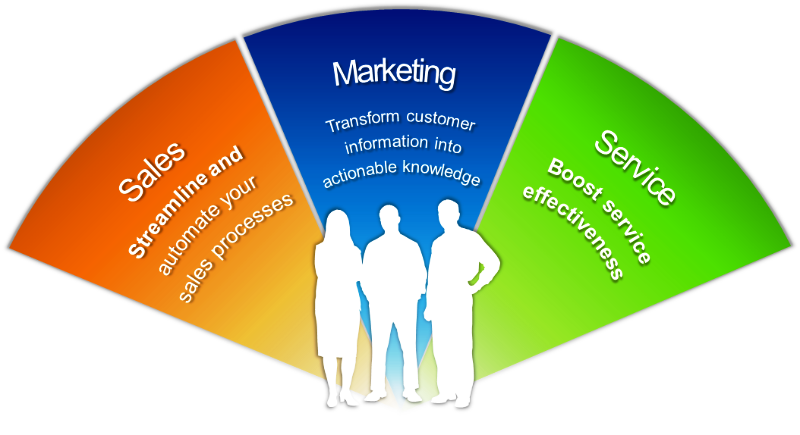 CRM systems today also work on customer engagement through social media. 3) Service automation is the part of the CRM system that focuses on direct customer service technology. Through service automation, customers are supported through multiple channels such as phone, email, knowledge bases, ticketing portals, FAQs, and more. ​For example, Microsoft's Dynamics CRM Software tracks call times, call resolution and more in order to improve the efficiency of customer service within a business. 1) The role of analytical CRM systems is to analyse customer data collected through multiple sources, and present it so that business managers can make more informed decisions. 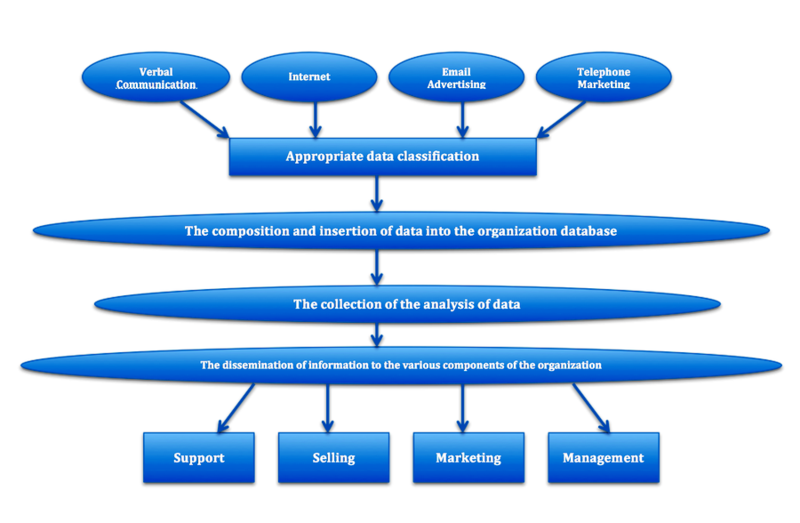 2) Analytical CRM systems use techniques such as data mining, correlation, and pattern recognition to analyse the customer data. 3) These analytics help improve customer service by finding small problems which can be solved, perhaps, by marketing to different parts of a consumer audience differently. For example, through the analysis of a customer base's buying behaviour, a company might see that this customer base has not been buying a lot of products recently. ​After scanning through this data, the company might think to market to this subset of consumers differently, in order to best communicate how this company's products might benefit this group specifically. 1) SCM is the management of a network of all business processes and activities involving procurement of raw materials, manufacturing and distribution management of finished Goods. 2) SCM is also called the art of management of providing the Right Product, At the Right Time, Right Place and at the Right Cost to the Customer. 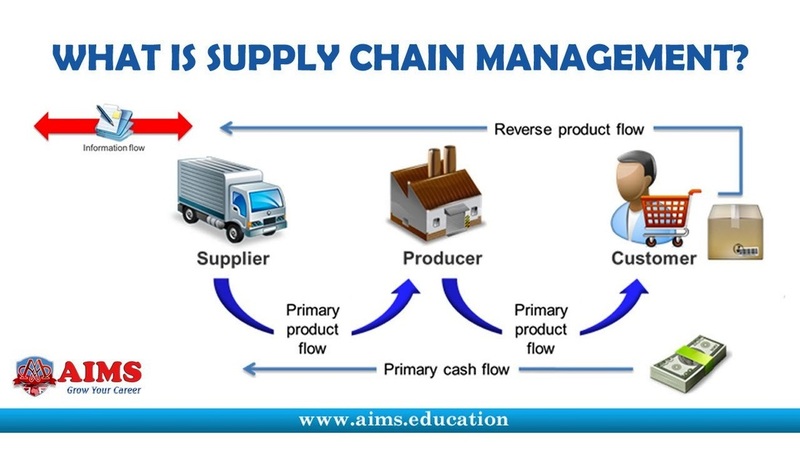 3) Supply chain management (SCM) is the management of the flow of goods and services. 4) It includes the movement and storage of raw materials, work-in-process inventory, and finished goods from point of origin to point of consumption. 5) Interconnected or interlinked networks, channels and node businesses are involved in the provision of products and services required by end customers in a supply chain. ​6) Supply chain management has been defined as the "design, planning, execution, control, and monitoring of supply chain activities with the objective of creating net value, building a competitive infrastructure, leveraging worldwide logistics, synchronizing supply with demand and measuring performance globally. Supply chain management (SCM) is the flow of materials, information, and finances as they move in a process from supplier to manufacturer to wholesaler to retailer to consumer. 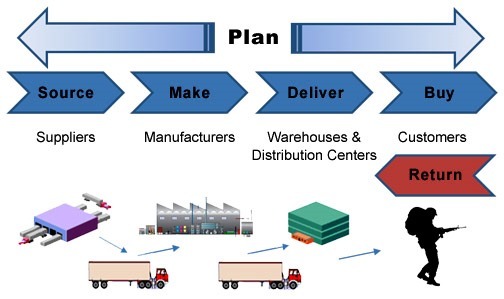 Supply chain management involves coordinating and integrating these flows and goal is to reduce inventory. SCM is the management of a network of all business processes and activities involving procurement of raw materials, manufacturing and distribution management of finished Goods. SCM is also called the art of management of providing the Right Product, At the Right Time, Right Place and at the Right Cost to the Customer. Supply chain management (SCM) is the management of the flow of goods and services. It includes the movement and storage of raw materials, work-in-process inventory, and finished goods from point of origin to point of consumption. Interconnected or interlinked networks, channels and node businesses are involved in the provision of products and services required by end customers in a supply chain. Manufacturers are the ones who are involved in production of goods with the help of machines, labour and raw materials. The wholesaler is the one who purchases the goods from the manufacturers and sells to the retailers in large numbers but at a lower price. A wholesaler never sells goods directly to the end users. 1) A retailer comes at the end of the supply chain who sells the products in small quantities to the end users as per their requirement and need. 2) The end user goes to the retailer to buy the goods (products) in small quantities to satisfy his needs and demands. The complete process is also called as Shopping. Vendor-managed inventory (VMI) is a family of business models in which the buyer of a product provides certain information to a supplier (vendor) of that product and the supplier takes full responsibility for maintaining an agreed inventory of the material, usually at the buyer’s consumption location (usually a store). A third-party logistics provider can also be involved to make sure that the buyer has the required level of inventory by adjusting the demand and supply gaps. VMI makes it less likely that a business will unintentionally become out of stock of a good and reduces inventory in the supply chain. The manufacturer receives electronic data (usually via EDI or the internet) that tells him the distributor’s sales and stock levels. The manufacturer can view every item that the distributor carriers as well as true point of sale data. The manufacturer is responsible for creating and maintaining the inventory plan. Under VMI, the manufacturer generates the order*, not the distributor. ​Logistics is the management of the flow of things between the point of origin and the point of consumption in order to meet requirements of customers or corporations. The logistics of physical items usually involves the integration of information flow, material handling, production, packaging, inventory, transportation, warehousing, and often security. Logistics involves identifying prospective distributors and suppliers, and determining their effectiveness and accessibility. Every part has its Quality, Quantity and documentation characteristics known as GRN (Goods Receipt Note) or Quality copy. Goods Receipt Note is prepared by the Stores /Warehouse Department for accounting the receipt of goods purchased from suppliers. When GRN is prepared in a software, Inventory is updated with quantity and value. It will also update the financial records by debiting Purchases A/c & Crediting the Supplier’s (Vendor’s) A/c. To provide maximum supply service, consistent with maximum efficiency & optimum investment. Inventory control can be defined as the “coordination and supervision of the supply, storage, distribution, and recording of materials to maintain quantities adequate for current customer needs without excessive supply or loss. The inventory turnover ratio is an efficiency ratio that shows how effectively inventory is managed by comparing cost of goods sold with average inventory for a period. This measures how many times average inventory is “turned” or sold during a period. This measures how many times average inventory is “turned” or sold during a period. In other words, it measures how many times a company sold its total average inventory during the year. A company with $1,000 of average inventory and sales of $10,000 effectively sold its 10 times over. This ratio is important because total turnover depends on two main components of performance. The first component is stock purchasing. If larger amounts of inventory are purchased during the year, the company will have to sell greater amounts of inventory to improve its turnover. If the company can’t sell these greater amounts of inventory, it will incur storage costs and other holding costs. The second component is sales. Sales have to match inventory purchases otherwise the inventory will not turn effectively. That’s why the purchasing and sales departments must be in tune with each other. Inventory management supervises the flow of goods from manufacturers to warehouses. A key function of inventory management is to keep a detailed record of each new or returned product as it enters or leaves a warehouse. Advertising, sales promotions, store atmosphere, public relations, personal selling and the word of mouth are the tools used by retailers to communicate with their target customers. All these components of the promotion mix must be combined properly to develop an integrated marketing communication system, for customers to have a clear and distinct image of the retailer. Retailers develop a promotional mix in order to obtain several objectives, such as positioning of the retailer, increasing the customer traffic, increasing the sales, announcing special events and providing information about the store location and the merchandise offered. Retailers spend the largest portion of their promotional budget on developing advertisements and on sales promotion activities. Determining the promotional budget is a significant task of the retailer. Advertising through newspapers is effective for announcing ‘sales’ and reaching a larger population, and advertising through TV facilitates the building up of a retailer’s image. Sales promotion activities are intended to meet short term objectives, like increasing the customer traffic in the store. Promotional tools like publicity campaigns and word of mouth provide the most reliable information to the target customers. 6) Measuring the effectiveness of the advertisements. Intelligent Dispensing Solutions is a leading producer of unique Retail Vending Machines for items of any shape and size. Customizable skins allow retailers to display their logo on each machine helping to promote brand awareness and sales in offsite locations. A vending machine is an automated machine that provides items such as snacks, beverages, alcohol, cigarettes and lottery tickets to consumers after money or a credit card is inserted into the machine. Automatic retail machines utilize state of the art technology with robotics and touch screen interfaces; debit, credit, gift cards and HID cards are all available payment methods. RFID technology was the key in getting 100% reliability about where a shipped item is at any given moment and when it got to its destination in real-time. This information is extremely valuable data to a logistics’ company. As digital technology has advanced, RFID technology has become accessible even to small and medium sized businesses. For instance, a small area rug business can attach a tag to every carpet in their retail shop and can zoom the scanner over the rugs to get instant and accurate count of their inventory with all sorts of details, including size of the carpet, quality, country of manufacture, and so on. This eliminates the need for physical inventory counts, which are not only expensive, but rarely 100% accurate. The same principle applies in a warehouse of a supply chain management company. Enterprise Resource Planning (ERP) systems refer to the software packages that integrate all the data and the related processes of an organization. Designed to facilitate the optimization of internal business processes across an enterprise, ERP packages have become a competitive tool for large retail organizations. An ERP software uses a single database that allows different departments to communicate with each other. ERP systems comprise function-specific features that are designed to interact with other modules such as Order Entry, Accounts Payable, Accounts Receivable, Purchasing, etc. Retail ERP software packages have an enterprise-wide reach that offer cross-functional capabilities to the organization. 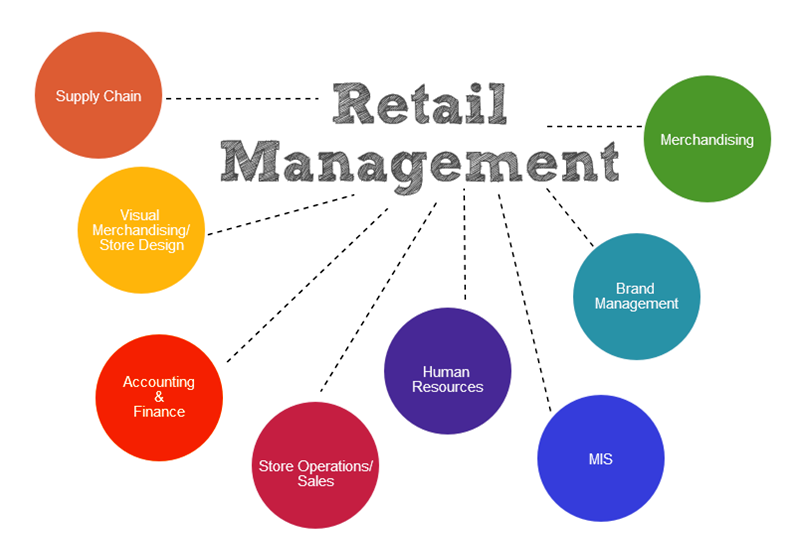 1) Retail Planning – ERP for retail allows retailers to undertake planning activities as per the need of the situation. It focuses on the different strategies to be employed in order to help a retail store increase sales turnover. 2) Store Operations – ERP for retail helps streamline operations related to the store management function. The store operations are central to retail chains since market basket analysis, merchandising, inventory management, workforce management and much more is part of this. 3) Inventory Management – This component enables retailers of all types and sizes to effectively manage the inventory levels and track goods. Inventory Management is the process of overseeing the constant flow of units into and out of an existing inventory. Inventory often accounts for the highest proportion of the working capital as raw material, WIP and finished goods. 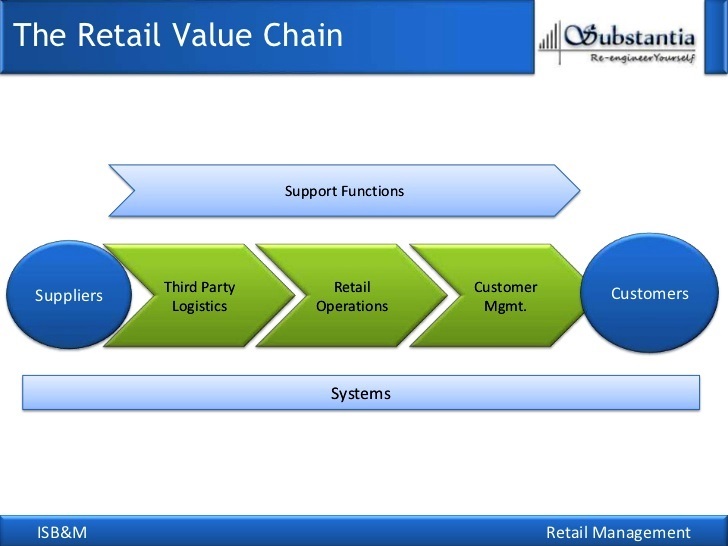 4) Supply Chain Management – ERP for retail manages the end-to-end supply chain for retailers. Shipping of products or materials dealing with potentially massive amounts of data scattered throughout the world, ERP systems can help ensure information stays interconnected and can be easily accessed by all relevant stakeholders. 5) Demand Forecasting – Tracking past trends and forecasting future demands is easier and higher on accuracy with ERP for retail. Maintain customer satisfaction, maximize sales and reduce inventory carrying costs with ERP for retail. 6) Vendor Management – Capture vendor details, lead time, performance and other vendor details. Perform comparison between vendors and choose preferred vendor with ERP for retail. 7) Customer Management – Customer management becomes easy with the automated processes for capturing customer data, preferences and activities with ERP for retail. Track and increase customer lifetime value with ERP for retail. Get new customers, identify your best customers, keep them engaged and build your brand. SAP ERP (Enterprise Resource Planning) is commercial software that will integrate all information altogether in a single software considering various factors like time and cost. Organizations can easily meet their business demands with the help of SAP. SAP MM is one of the modules of SAP that deals with material management and inventory management. Material Management process ensures that there is never a shortage of materials or any gaps in the supply chain process of the organization. SAP MM speeds up the procurement and material management activities making the business run smoother with complete time and cost efficiency. SAP MM is known as SAP Material Management system. 1) A business process in SAP is termed as “Module”. 2) SAP Materials Management (MM) is a part of Logistics area and helps to manage the procurement activity of an organization from procurement. 4) It is the backbone of the Logistics area which incorporates modules like Sales and Distribution, Production Planning, Plant Maintenance, Project Systems, Warehouse Management which are extremely obsessed on Materials Management module. SAP Sales and Distribution is one of the key components of SAP ERP system and is used to manage shipping, billing, selling and transportation of products and services in an organization. SAP Sales and Distribution module is a part of SAP Logistics module that manages customer relationship starting from raising a quotation to sales order and billing of the product or service. SAP Production Planning is one of the key modules in ERP and deals with planning processes, such as capacity planning, material planning, execution of production order, bill of material and goods movement. SAP PP module handles the master data required for Bill of Materials (BOMs) activity, work center and routing, and keeps it in a separate component. SAP Financial Supply Chain Management is a set of applications from SAP that manages customer-related financial functions such as risk assessment, billing, receivables, and collections, within an SAP ERP environment. SAP Financial Supply Chain Management is designed to increase visibility into and control of cash-related processes between a company and its business partners. The goal of SAP Financial Supply Chain Management is to predict cash flow, reduce working capital and operating expenses by increasing the number of timely customer payments and reducing the number of debtors, and integrating business processes throughout the financial supply chain. In retail, technology gives you the platform to better satisfy your customers by helping you concentrate on their needs. New technologies continue to reshape retail interesting and unexpected ways. Technology that will allow retail company to understand their customers in a deeper level. Robotics and drone delivery are two of the innovations that lead to greater influence on retail operations. Robotics technologies have become fairly commonplace in the retail sector as well as in Supply chain. The use of robots in retail expand beyond the supply chain, and perhaps into checkout counters of brick-and-mortar stores, and maybe even into home delivery. Robot is to make the shopping experience easier for consumers and simplifying the process of finding the product you’re looking for while also managing the back-end and keeping shelf inventory up-to-date for the retailer. A delivery drone, is an unmanned aerial vehicle (UAV) utilized to transport packages, food or other goods. Amazon Prime Air is a service that will deliver packages up to five pounds in 30 minutes or less using small drones. Amazon company completed its first successful drone delivery in the U.K and continues to be active on the drone delivery front by filing for and earning patents. Blockchain is essentially a shared ledgering technology that allow companies and their partners to accurately manage and track complex digital transactions, as well as securely store the digital values or objects involved in those transactions. Wal-Mart is one of the first retailers to plan an international implementation of blockchain. Virtual reality (VR), along with augmented reality (AR), offers retailers the opportunity to transform how people shop. One customer might try on shirts without having to travel to the store. Another might order furniture on the spot, confident that it’s right for the house. Augmented reality (AR) is a cousin of virtual reality (VR). Both technologies involve presenting the user with a computer-generated environment that can be manipulated and interacted with using natural, instinctive motions. The difference between the two technologies is one of degree. While VR completely replaces the real world with the computer-generated environment, augmented reality blends the real and the virtual. A VR experience typically involves wearing a headset that completely blocks one’s view of the real world. The Internet of Things (IoT) is a network of connected physical objects embedded with sensors. IoT allows these devices to communicate, analyze and share data about the physical world around us via networks and cloud-based software platforms. In the case of retail, the “things” can include RFID inventory tracking chips, traditional in-store infrared foot-traffic counters, Wi-Fi tracking systems and even a customer’s mobile device. AI is a computer system that mimics human intelligence in areas like translation, speech recognition and decision making without the need for much human interaction. These AI technologies are suitable for warehouse operations that improve picking and inventory accuracy and reorganize data to support decision making and accelerate the order fulfillment process. Electronic retailing is the sale of goods and services through the internet. Electronic retailing, or e-tailing, can include business-to-business (B2B) and business-to-consumer (B2C) sales of products and services, through subscriptions to website content, or through advertising. Electronic retailing requires many product and service displays and specifications, giving shoppers a personal feel for the look and quality of the offerings without requiring them to be present in a store. E-tailers need strong distribution efficiency so consumers are not waiting long periods of time for the products or services they purchase. Transparency in business practices is also important so consumers trust and stay loyal to a company. As consumers continue buying from the business, revenue increases. E-tailing helps traditional brick-and-mortar stores reach more consumers worldwide and increase sales. Individual and startup e-tailers may be launched from a single room with one computer and expand rapidly rather than pay for an entire building with expensive overhead. E-tailers may trace consumers’ shopping behavior while gaining valuable insights into their spending habits, which may lead to increased revenue. In addition, customers shop from the comfort of their homes at any time rather than being physically present in the store during specific hours. Chat-bot is an Artificial Intelligence (AI) feature that can be embedded and used through any major messaging applications. Chat-bots are better able to improve customer service and support interactions. Chat-bots can be built to respond to either voice or text in the language native to the user.